Curly hair can be hard to manage, so treat it with Joico Curl Controlling Anti-Frizz Styler, a smoothing formula enriched with Curl Repair Technology™ to create more refined, defined, healthier looking curls. Combining a blend of natural oils, reconstructive proteins and defining polymers, the frizz-fighting styler works easily into the hair, smoothing over your locks to control frizz and even out unruly curls and waves whilst protecting from humidity. Providing enhanced curl retention, body and protection, the curl refining formula will leave your hair frizz-free, with smooth, beautifully defined curls. - K.N. 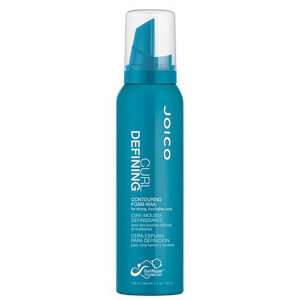 Provides better curl retention and humidity protection up to 72 hours.